There is something impressive about people who take part in Triathlons. They can swim, bike and run – one after the other in a single race. Before you get to that stage, you need to learn how to put all the pieces together. With triathlons, you have to respect your fitness level when training for an endurance event. It’s about creating new limits and knowing how to stay put in them. 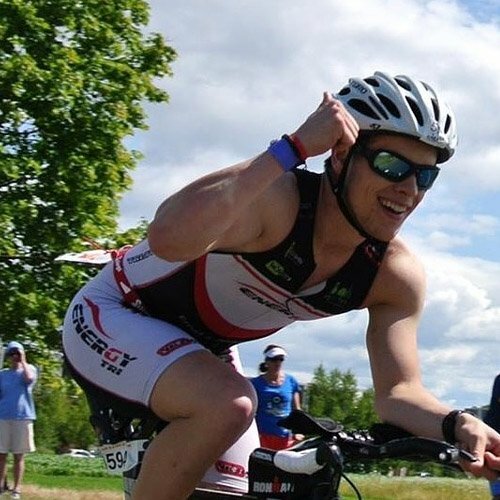 There is more to triathlon cycling beyond riding a bike and this is why we created this article to assist you with a series of tips that will assist triathletes irrespective of the stage you’re in. Every stage has what makes it unique and solutions that might work at one stage may not be useful at another stage. 1. 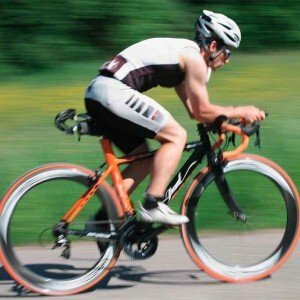 Picking the right beginner Triathlon Bike. For newbie triathletes, you need a road bike to begin your journey as they are easier to ride than triathlon bikes and you can use them to compete in any event that you want including road cycling races. A traditional road bike is used in cycling races and they are the preferred option due to the ease of manoeuvrability and efficient transfer of energy from the muscles to the pedals. For most road cyclists, the riding position that they get on a road bike is more comfortable than the one they get on a triathlon bike but this comes at a cost when you are competing in Triathlon timed events. Having the right bike in the correct size is of utmost importance. I stand at 6′ 2″ and my first bike was bought because I liked the look of it. It was a Specialized Allez and got it for a bargain off a guy who gave up cycling. It was only after talking to a few guys at Tri events that I was told the frame size was far too small for me. I traded this up to a Felt road bike a few weeks later and it made a huge difference to my times and comfort on the bike. The size of a bike is measured by the length of the seat tube. So, we measure from the centre of the bottom bracket to the top of the seat tube right beneath the seat. Another alternative is to measure the frame size as some manufacturers measure it differently from others. The rule of thumb is to check what frame size is ideal for you as it differs from each brand. In addition to the seat tube, the length of the top tube and the head tube are equally important when measuring the bike size. In summary, try talk to an expert to get measured up, the sit on a bike and ride it before purchasing it. When you cycle, you’re basically doing the same thing over. It’s a repetitive activity and as such you’re not riding a good bike with a good fit, you put yourself at risk of an overuse injury. This will also hamper your performance in competition. If you already have a bike that doesn’t fit, you can adjust a couple of things on the bike to get the perfect fit for a comfortable ride every time you pick it up. These include adjusting the saddle fore, the saddle height, aft position, saddle tilt, handlebar height and the cleat position on your shoes. The idea is to get the perfect fit for your anatomy. There is no one size fits all solution here, you really have to continue to adjust until you get the right fit. Bike fitting should be done by professionals and it could set you back by as much as $250. Before hiring a bike fitter, ensure you get a recommendation from experienced triathletes and those with credible certifications and merits that can be verified. The best triathlon bikes are made from aluminum and carbon fibre. Aluminum is preferred for beginner triathletes due to its cost, durability and lightweight features. The negative with aluminum bikes is that they are often stiff compared to other materials such as steel. If you already planning a major upgrade, carbon fibre is the undisputed champion. 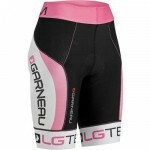 It’s lightweight, built for comfort and it’s great for triathlon cycling circuit. As a beginner, your first bike matters a lot. It can help you grow or stunt your development. For the frame, you need a road bike with aluminum frame. this gives you a lot of manoeuvrability and it is comfortable as well. It could be used or new but ensure someone with experience with bikes evaluates it before you make the purchase. For the bike fit, it probably won’t fit you as well, so you’ll have to hire a professional in your area to help set it up properly. If you don’t have cycling equipment already, you should pick out basic equipment like a helmet, cycling jersey, and proper bike shoes. The helmet should be new while the other items could be second-hand. When it comes to cycling tires, there are two common tires available. The Clincher and Tubular tires. The clincher is the standard tires that you find on most cycling bikes. They are durable and easy to repair and replace in the case of flats. They come with a separate inner tube and are specifically recommended for training. Tubulars, on the other hand, are lighter than Clincher and can be expanded to a tire with more pressure for a reduced rolling resistance. They are mostly used by professionals who know their game and this is why they are more expensive than the Clinchers and more difficult to repair or replace. Installing Tubulars involves gluing them to the rim of the bike and a little bit of sewing that serves as added protection in case the tire gets a flat. The choice is fairly simple – clinchers are used for training while tubulars are performance optimized for races. One thing you can do to your stock road bike to turn it into a sort of triathlon bike is to add a set of tt triathlon bars. 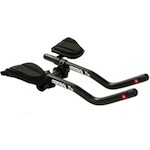 These triathlon bars help you get into the aero position by lowering you down into the frame more when you ride. An inexpensive modification you can do at home it’s probably the best mod you can do to your bike to give you the edge.